The MCP1A-R470 range are manual call points, both with a 470 Ohm resistor and Normally Open contact, complete with glass. The MCP1A-R470FG-01 is designed for semi flush mounting and the MCP1A-R470SG-01 is designed for surface mounting. 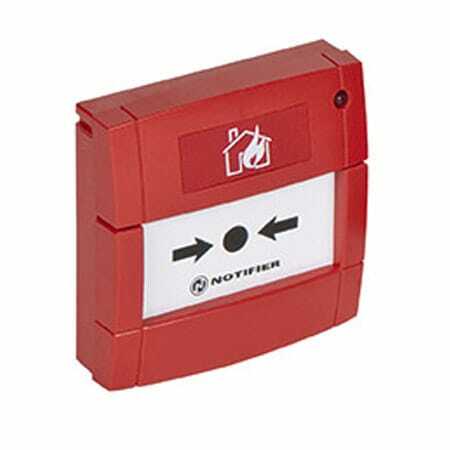 The call points are designed to provide a manual alarm interface to non addressable fire alarm control panels. MCP1A-R470FG-01 & MCP1A-R470SG-01 call points are supplied in the standard red colour. The MCP1AY470SG-14 call point is marked "Extinguishant Release" and supplied in yellow.